At Rent a Digital Piano, we firmly believe that the joy of learning such an elegant and beautiful musical instrument should be as accessible as possible. Playing the piano is a simple pleasure in life, so we work to provide you with a smooth, hassle-free experience. As part of our commitment to making the piano as accessible as possible, Rent a Digital Piano are committed to providing the lowest piano rental prices in the UK. We believe in this so much that we even offer a price match – if you can find a cheaper piano rental plan, we promise to beat it! When you rent a piano from us, you can rest assured that there are no nasty hidden costs. 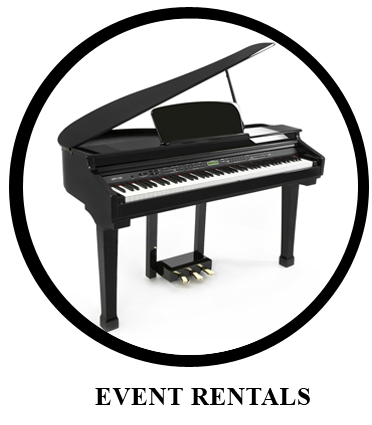 We do not require a costly deposit, and we have no minimum rental periods on our pianos. This is perfect if you only need to rent a piano for a short amount of time, for an event or if you’re not sure how long you’ll need a piano. Our digital pianos all benefit from 88 weighted keys, providing you with a realistic simulation of an acoustic piano, ideal if you’re renting a digital piano to enhance your professional piano lessons. Our digital pianos also have a sleek, slimline design, which means that not only can you save the valuable space in your home; the digital piano will be a stylish addition to any room. In order to get the most from your digital piano rental, there are a number of accessories you can hire from Rent a Digital Piano. If you’re unsure which accessories would enhance your playing, simply get in touch. Renting a digital piano from Rent a Digital Piano is an extremely easy and simple process. 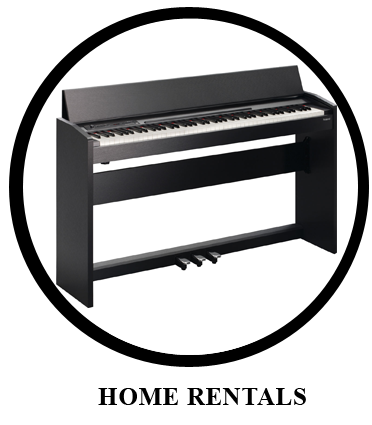 If you want more information about digital piano rental, simply contact us online or free phone 0800 772 3956.